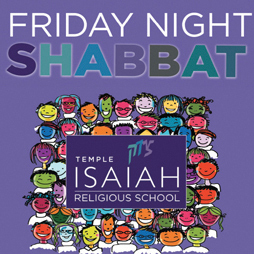 Services hosted by Religious School Grades 6 & 7 - Shabbat at Isaiah is experienced through music, friendship, warmth, and creativity. This Friday, our Religious School Shabbat will be a time for us to come together, celebrate camp memories, pray for the thousands of first responders battling this historic blaze, pray for the families who have been evacuated, count our blessings, sing familiar songs and share. Our sixth and seventh graders will lead part of the service, and all of our Religious School students will have an opportunity to participate. Following the service, we will eat, talk and be together after a long week full of much sadness, in the full embrace of community.